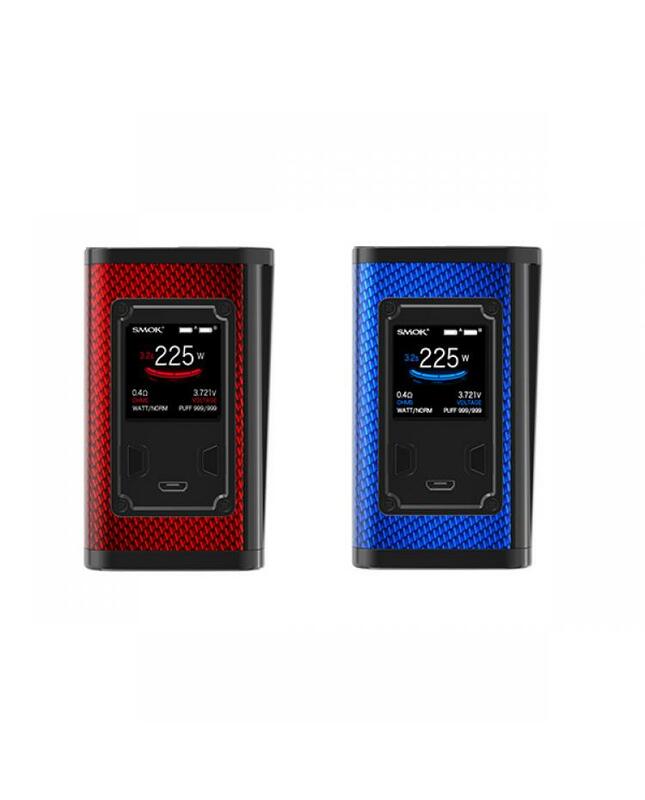 Newest smoktech temp control vape box mod majesty, carbon fiber version and resin version available, both of them have four fashionable colors available. the majesty mod powered by 2pcs 18650 batteries and max output 225watts, supports resistance as low as 0.05ohm under temp control modes, VW, TC, and memory working modes switchable.VW working mode perfect for cloud chasing, TC mode can enhance the consistency and taste of every puff. the memory mode can DIY your personal preferences. 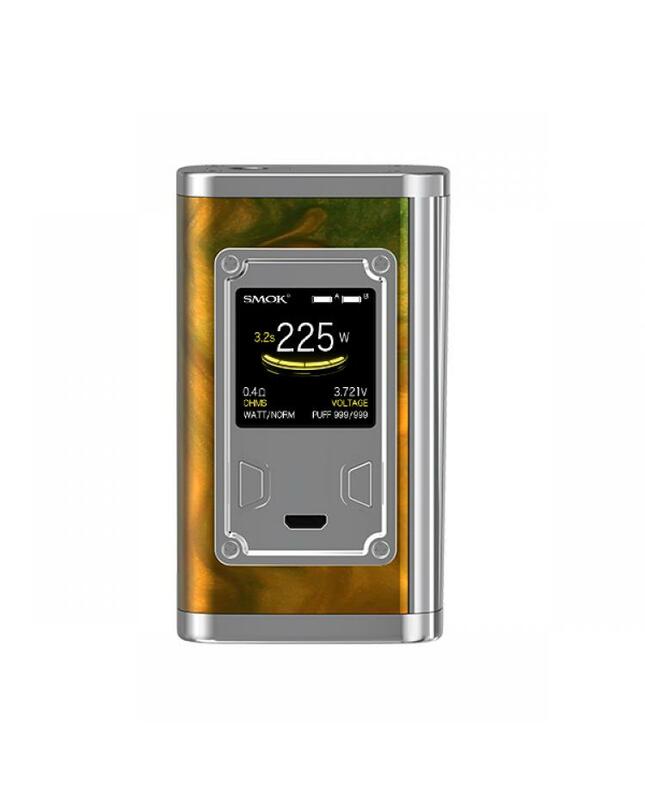 the side of smoktech vape mod with large fire button like h-priv series box mods. the front panel with a large OLED screen, entirely new and upgraded user interface provides you with more direct and detailed vaping data. also, six different colors available for screen setting like procolor. the dual battery life indicator will show you how much power of batteries left, and vapers will know when the batteries need to be charged. we don't recommend using the micro USB port to charge your batteries, please use the battery charger, the micro USB port only recommend for upgrade the firmware. the majesty with slide battery door design, only slide and open the battery door, then vapers can replace the batteries and charge them. 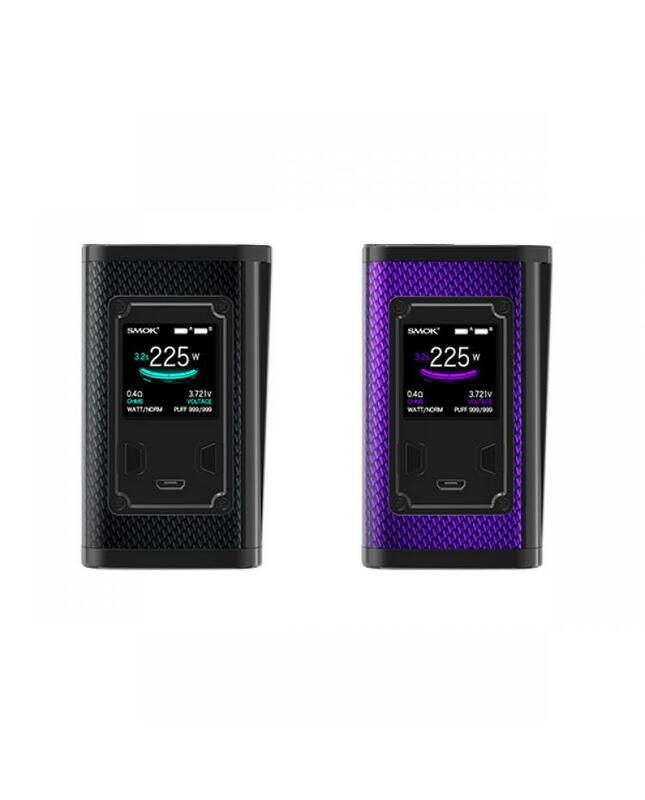 the new smok mod with multiple functions to ensure the vaping safe and reliable.smok official recommend the majesty mod works with TFV8 x-baby beast tank.